Matariki is the Maori name for the cluster of 7 tiny stars. It signifies the Maori New Year. Matariki happens every year in Winter-time. 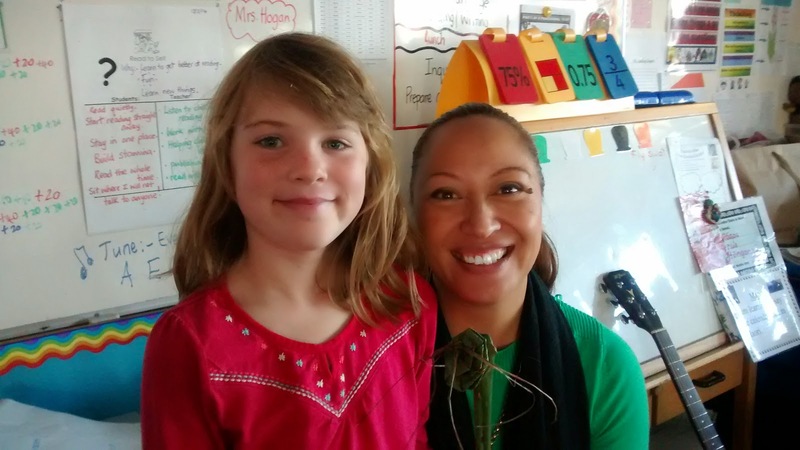 We enjoy our Maori teacher, Whaea Trish, coming to our room every Wednesday. 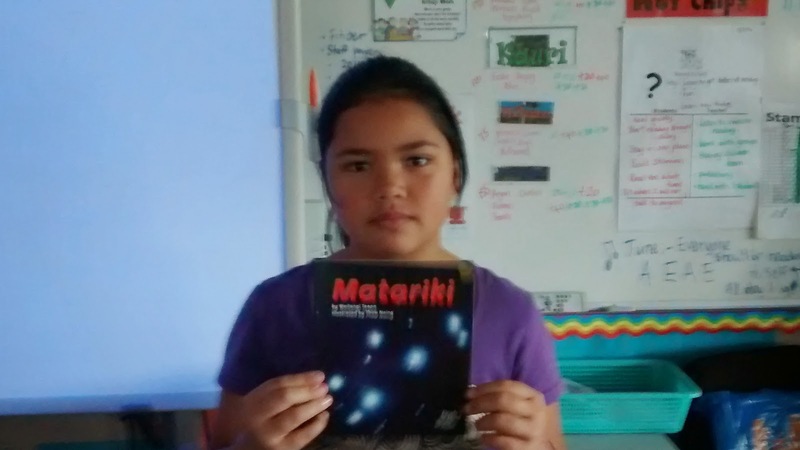 She taught us about what Matariki means. Alice had made Trish a gift of a flax flower for Matariki. 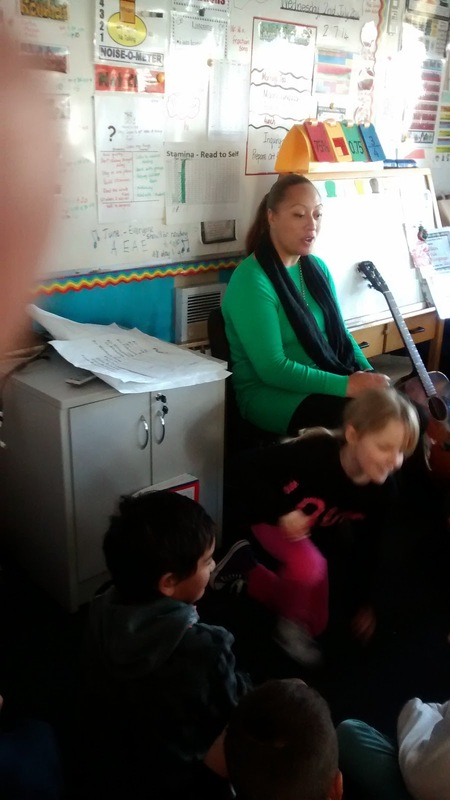 Whaea Trish taught us a Maori song. 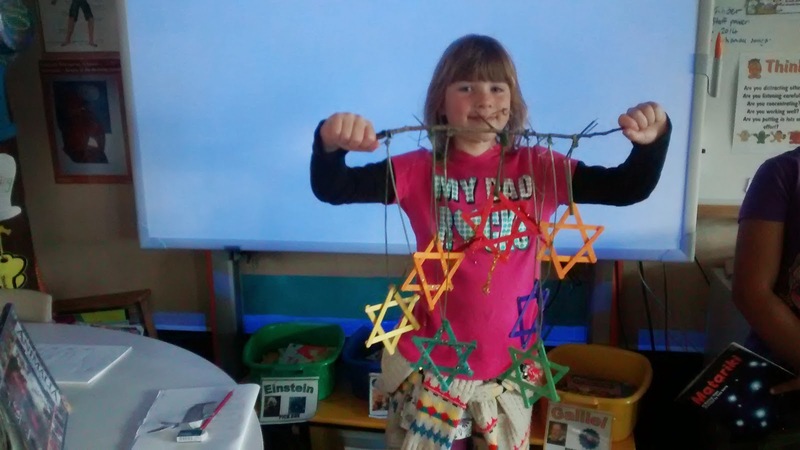 Alice had also made a model of the 7 stars representing the 7 sisters. She used lollipop sticks decorated with glitter and pipe cleaners. Very creative Alice! 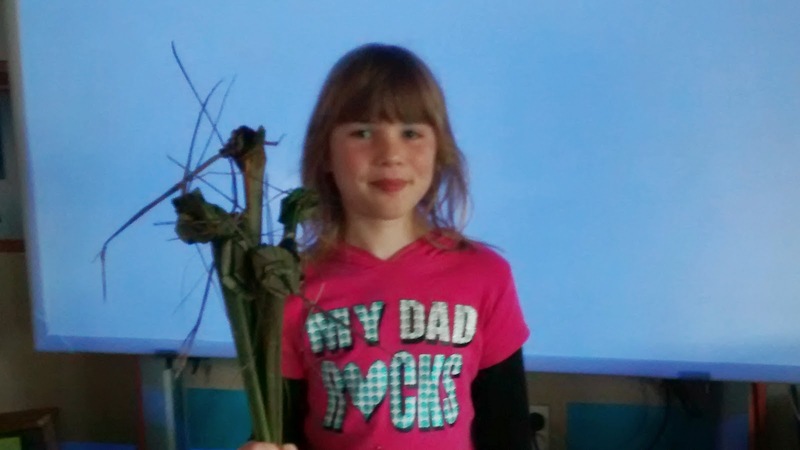 She had also made flax flowers for Miss Kim, Mrs. G and me. Thank you Alice. Breeze read us the story of Matariki.